“Near perfect novel. . .a delightful tour de force. 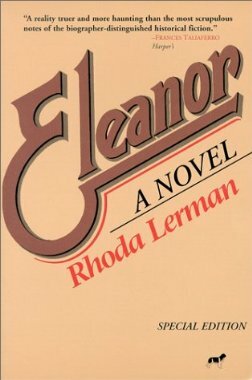 Readers who remember Rhoda Lerman as author of the very funny The Girl That He Marries will revel in this entirely different aspect of her considerable talent . . .Eleanor speaks elegantly and with charm to all women. Miss Lerman has given us a near-perfect fictionalized portrait of a unique woman blessed with sensitivity and depth and honesty.